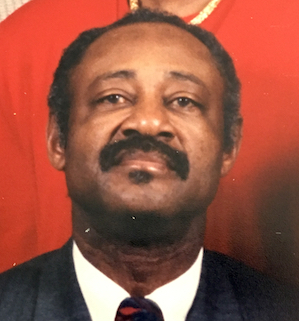 He was a member of Santa Fee Baptist Church and owner and operator of J.C. Lasley Dozer Service for many years. He earned a reputation for exceedingly fair business practices and as one of the most gifted dozer operators South Central Kentucky has ever produced. He was farmer and large landholder. He was the patriarch of an influential Adair County, KY, family. He was the son of the late James & Lizzie Jones Lasley. His wife, Bonita Todd Lasley, survives. He leaves 14 direct living descendants. J.C. Lasley, 79, of Columbia, Kentucky, died Friday, March 9, 2018 at 7:46amCT at his home. Funeral service will be Wednesday, March 14, 2018 at 1pmCT, at Grissom-Martin Funeral Home, 200 Campbellsville Street, Columbia, KY, with Rev. Henry L. Mosley delivering the eulogy. Burial in Lasley Cemetery. Visitation will be after 5pmCT, Tuesday, March 13, 2018. He was born May 23, 1938, in Adair County, KY. He was the son of the late James & Lizzie Jones Lasley. He died Friday, March 9, 2018, at his home in Columbia, Adair County, KY, at the age of 79 years, nine months, and 14 days. In addition to his parents, he was preceded in death by six brothers and four sisters. He was a member of Santa Fee Baptist Church and owner and operator of J.C. Lasley Dozer Service for many years and a farmer. 2018-03-10 - 200 Campbellsville Street, Columbia, KY - Photo from Grissom-Martin Funeral Home.